Nigerian international Chidiebere Nwakali has joined new club Kalmar FF of Sweden in its pre-season tour of Turkey ahead of the league’s resumption date in March. The Super Eagles team B star joined the Swedish side from Czech Republic club Rakow Czestochowa after signing for Manchester City in 2015 where he spent time on loan at Malaga, Girona, Start, Sogndal and Aberdeen before making a permanent move to the Czech club. 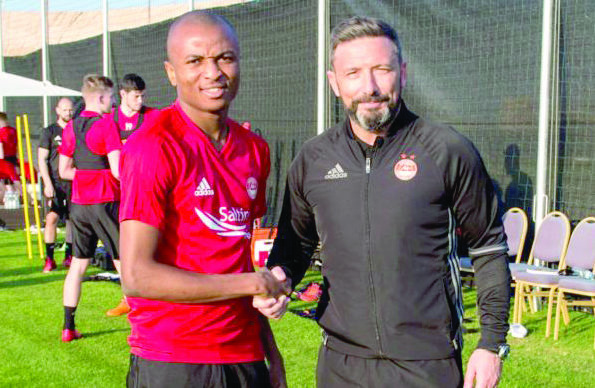 Nwakali joined the Swedish side on January 22nd and will team up with fellow Nigerian defender Gbenga Arokoyo who moved to the Swedish outfit from MLS side Portland Timbers in 2018.